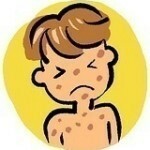 Hives appear on the skin as red, raises, itchy rashes that are sometimes triggered by allergens. When the body is faced with an allergic reaction, the body releases a protein called histamine. When histamine is released, our capillaries leak fluid; the leaked fluid is what accumulates in the skin and promotes the rash. 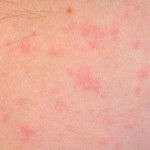 Hives, are also commonly referred to as uticaria, welts, or nettle rash. Uticaria can be triggered by: specific foods, insect bites and stings, contacts with an irritant such as nettles, chemicals or latex, medication, extremes of temperatures, sunlight and water on the skin. Medical experts suggest that approximately half of what causes hives are unknown. The swelling associated with hives appear as a pinkish or red rash and have a round or oval shape ranging from a few millimetres in diameter to several inches. The swellings may also be ringed with a red flare, and are extremely itchy. 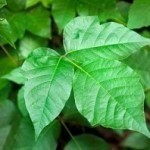 They appear in batches and are commonly found on the face, hands, fingers, legs, feet and toes. Usually, symptoms are present for not more than 8 to 12 hours, and rarely continue for more than 24 hours. Unfortunately, for some, the symptoms may continue for longer, lasting days or even months. Take an antihistamine; this is the most recommended remedy for hives. Antihistamines are available over the counter; they will cause drowsiness but since hives tend to be at their worst at nights, it is suitable to take the antihistamine nightly before you retire. Wear gloves to bed; if you do not trust yourself to refrain from scratching in your sleep. Gloves or mittens will help to prevent damage if you do scratch while sleeping. Note that scratching with your fingers may feel good initially, but will only increase the local inflammation, or swelling, and even cause more hives to develop. It can tear the skin, creating a path for infection. Use a milk compress; to cover the area affected with hives. Wrap the infected area; with an elastic bandage. Chill the itch; by holding an ice pack or some ice cubes in a thin towel on the skin’s affected areas for 5 minutes at a time, up to 4 times daily. Do not do this for longer as it can damage skin. Identify the cause; to lessen your exposure to it. If it is a specific food, allergen or other external element, try to identify it so you will be able to avoid it and prevent the flare up of hives. 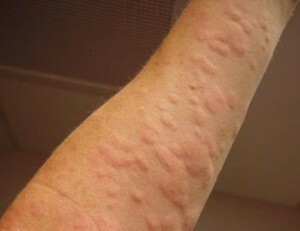 Note that hives usually appear within half an hour of eating a food that causes it. So, if you break out in hives today, it is irrational to blame something you had for dinner the night before. If you already know what causes your hives, avoid it at all costs. Also, if you are prone to hives, stress will undoubtedly promote their flare up. So, it is ideal to develop ways of easing or managing stress.